LOS ANGELES MOTORCYCLE ACCIDENT ATTORNEY REPORT: The LA motorcycle accident lawyers at Riderz Law have a tragic accident to report from this weekend. Last Saturday night at approximately 3 a.m., 25-year-old Marc A. Grace, from Los Angeles, was killed in a motorcycle accident on the 101 Freeway. 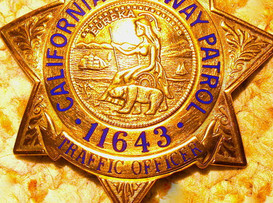 According to California Highway Patrol, Mr. Grace was riding his 2003 Suzuki motorcycle westbound on the 101 Freeway near Laurel Canyon Boulevard at a high rate of speed when he lost control of the bike and was thrown onto the highway. From the information provided in the preliminary accident report, it appears that Mr. Grace succumbed to his injuries and died at the scene of the accident. Our thoughts and prayers go out to Mr. Grace and his family. At this point, it is unclear whether drugs or alcohol were a factor, or whether another vehicle was involved, and we will update this report as more information becomes available. Regardless, it appears that this is yet another motorcycle accident that was entirely preventable. Traveling down the highway at excessive speeds is dangerous under the best of circumstances – let alone at 3 a.m. on Saturday night. 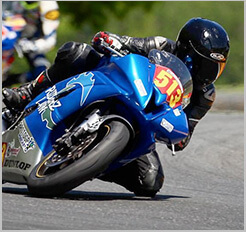 The motorcycle accident lawyers here at Riderz Law remind everyone to ride smart and ride safe.